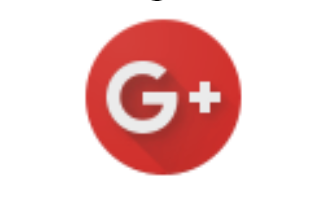 Google+ was Google’s attempt to make a sharing platform similar to Facebook. While it wasn’t very effective as a social platform, it did give businesses a valuable SEO opportunity. That’s why many SEO companies and businesses took the time to claim and optimize Google+ pages. While Google+ seemed to have a lot of potential, the platform never really took off. Instead, Google saw the platform’s activity steadily decline year after year. As a result, Google decided to start phasing out inactive pages. Then, after a bug affected the private data of over 500,000 users in March of 2018, Google announced they would begin the process of shutting Google+ down, setting the final end date for August 2019. Since Google+ was rarely used by users and businesses, the loss of Google+ will have little to no effect. However, if you were active on Google+, this is the time to save any content you don’t want to lose. To do so, you can use the Google Takeout tool to download and save content that’s important to you. Just make sure that you are signed in to the Google+ Page you wish to download from and follow the instructions. Additionally, it is a good idea to review your email footers, website, and any other marketing materials and systematically remove any Google+ links. With the end of Google+, this is the ideal time to give more attention to posting to Google My Business. Google My Business is what generates your business listing on Google Maps and in Google search results. To post to your listing, log in at http://business.google.com and click the Posts tab on your dashboard. Google My Business posts are a great way to feature specials, photos, events, and promotions on your listing. For more information and a free consultation on how to make the most out of your online presence, visit our website or give us a call at (800) 499-2064. iSearch By City provides high quality local search marketing for small businesses. We offer fully optimized, mobile compatible websites in responsive design, robust directory listings, social media management, and profile optimization on platforms such as Google My Business and Yelp.